Please install the MPEG4 codec for your OS manually and try again. You can find the codec here. Please have a look at our tutorial how to open a backup copy of a project. Sometimes a preview window may lag. Lagging is resulted from the fact that the editor is processing all changes made. It doesn’t affect the resulted video. 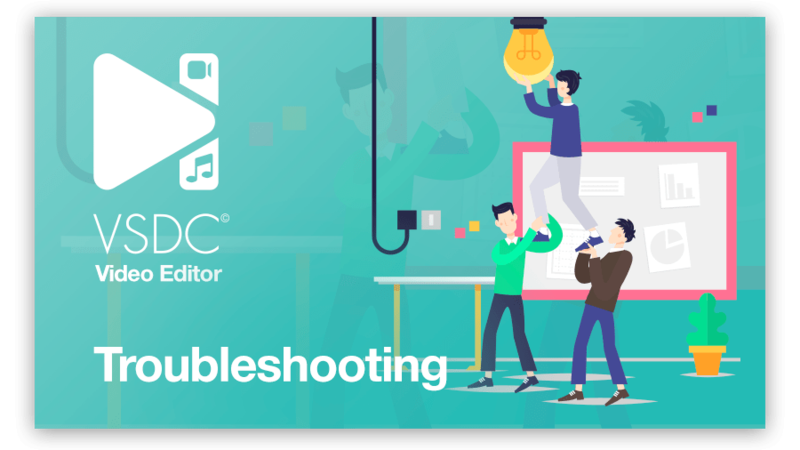 Please, watch our tutorial how you can change the preview quality - ‘How to change preview settings in VSDC Free Video Editor’. You can preview a video on the timeline using arrow keys. Please disable your firewall, run the program as administrator and try to insert your activation key again. Please, download codec CineForm for your system and try again. 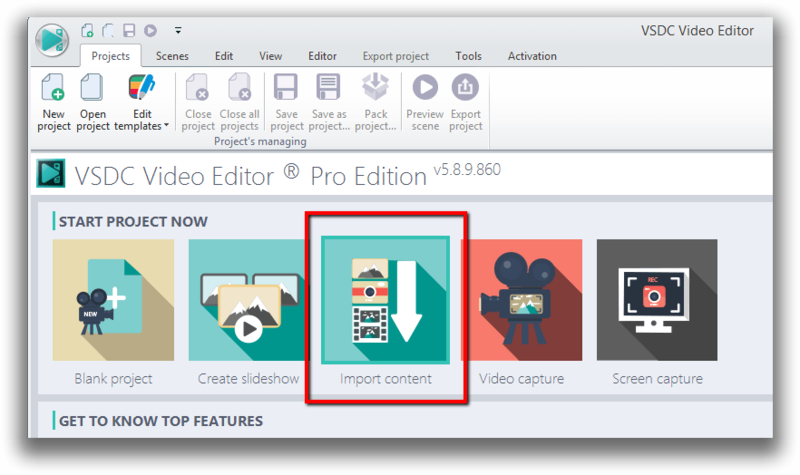 Please try to add a file using the ‘Import Content’ option in the main menu. Please, make sure that your graphics card is powerful enough for export with hardware acceleration, it should be at least Nvidia GeForce GTX 950. I can’t add ‘Audio abstraction' because the option is disabled. Please, download the file - support.microsoft.com/en-us/help/4019990/update-for-the-d3dcompiler-47-dll-component-on-windows. If you prefer text instruction, please have a look at our how-to section.